Last week I talked about how much we loved the PhotoPass package that Disney offered, and when we heard that Universal Studios had their own photo pass package, Universal Photo Connect, we decided to buy one of those too. We bought the 3 day unlimited download pass, which ran $60. We thought if it was anything like Disney, we were getting a great deal. Sadly, where Disney beyond excels at what they offer, the Photo Connect completely lacks. We were used to V.I.P. treatment at Disney, finding photographers all throughout the park to take our photo. Universal had no photographers to take photos throughout the park, with the exception of one that we found near Hogwarts. 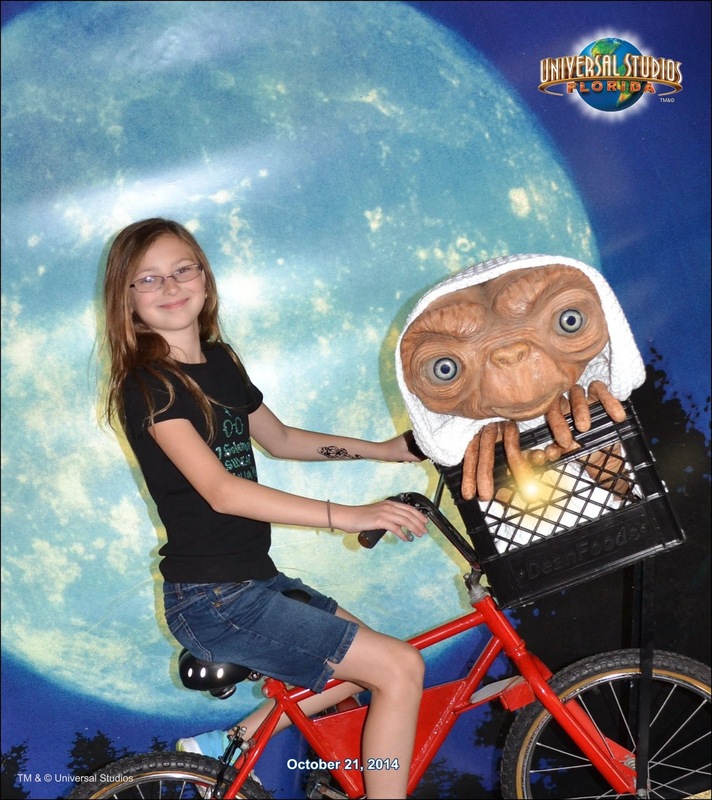 What you do get is photos on each of the rides (only those that have cameras to take your photo while you are on the ride) and a few special opps that you can only get when you buy the package, like E.T. and The Simpsons. 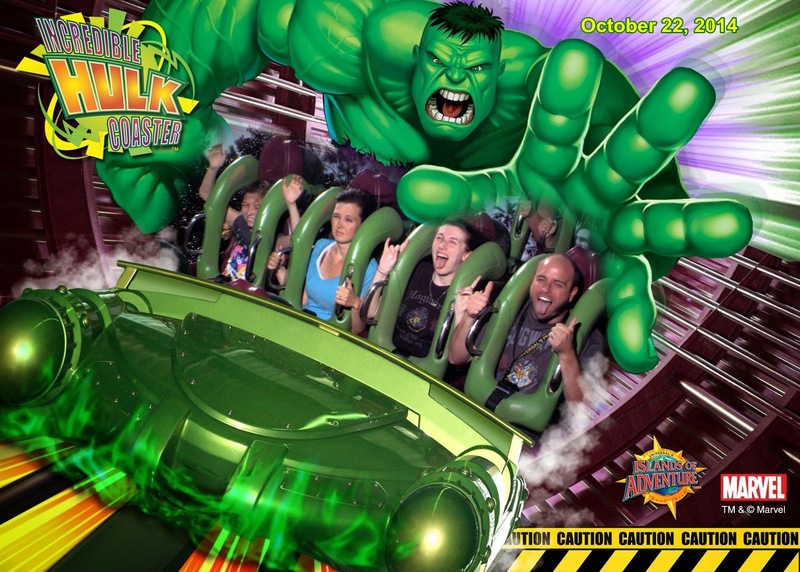 While Jason doesn't look thrilled here, this is our most favorite ride at Universal Studios. 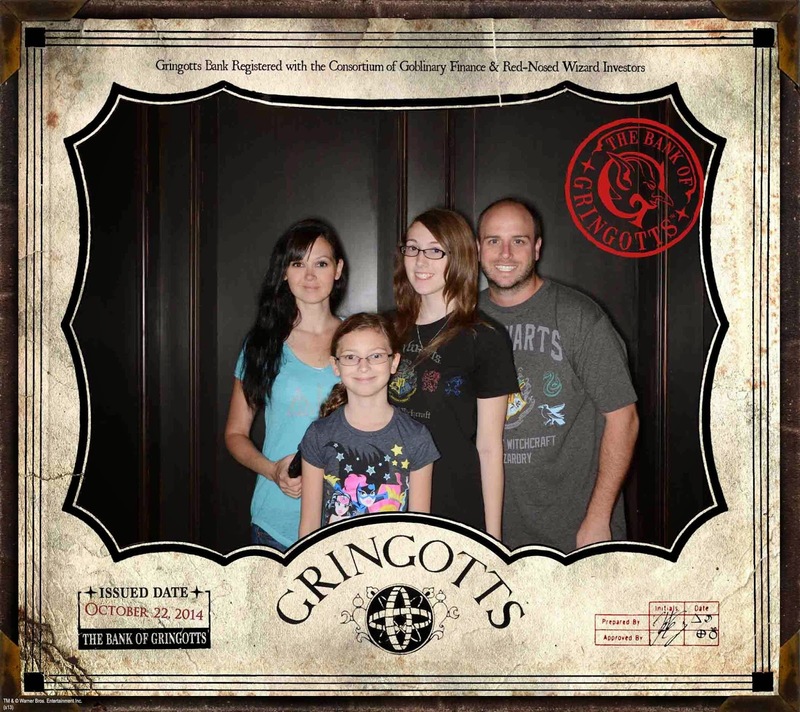 Honestly, we don't care much about ride photos, but since my daughter loves Harry Potter, we were happy that we were able to get a family photo and a ride photo of the new Escape From Gringotts ride. The photos that we did get, we loved. But I paid $60 for roughly 40 photos over a 2 day Universal Studios trip. I paid $150 for a Disney PhotoPass and got over 600 Disney photos over a 3 day period. At Disney you scan your magic band and your photos automatically load to your account. With the Universal Photo Connect, you have to have your photo ticket scanned, then you have to hunt down a kiosk to edit and load your photos to your account, which was very time consuming, and not every kiosk employee was knowledgeable on how to load or edit the photos, so we would have to hunt down another kiosk to find someone who knew what they were doing. If the price were cut in half, at $30 or so, I would recommend Universal's Photo Connect. 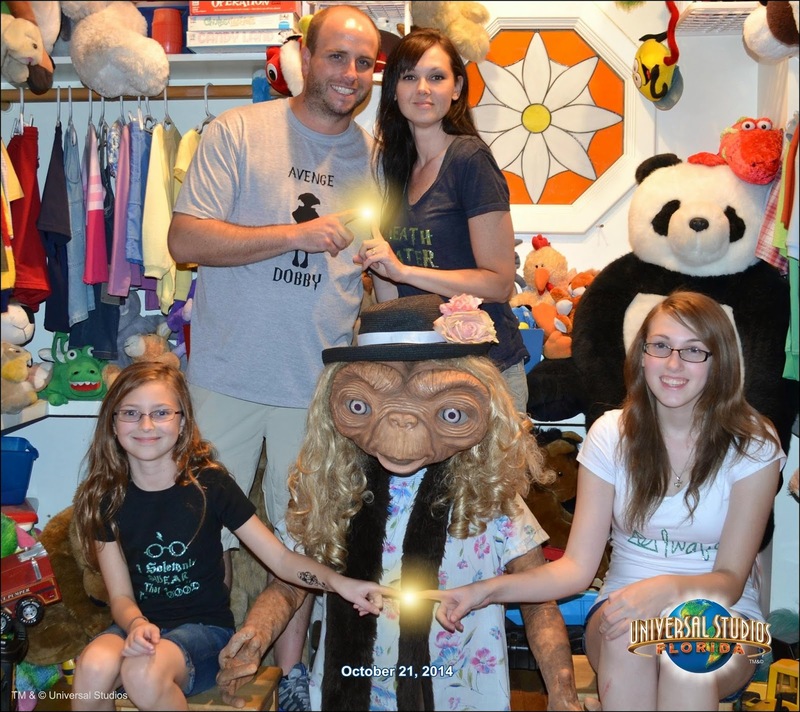 However, if we return to Universal Studios, we won't be shelling out another $60 for the Photo Connect package. To us, the limited photos, lack of photographers, and time wasted did not make it worth the cost. Have you tried Photo Connect? Did you have a better experience than we did? You guys are so cute. I have the same picture of me with ET from like 25 years ago LOL! I love the pics anyways. Especially the Harry Potter and Simpson ones......being a big fan! 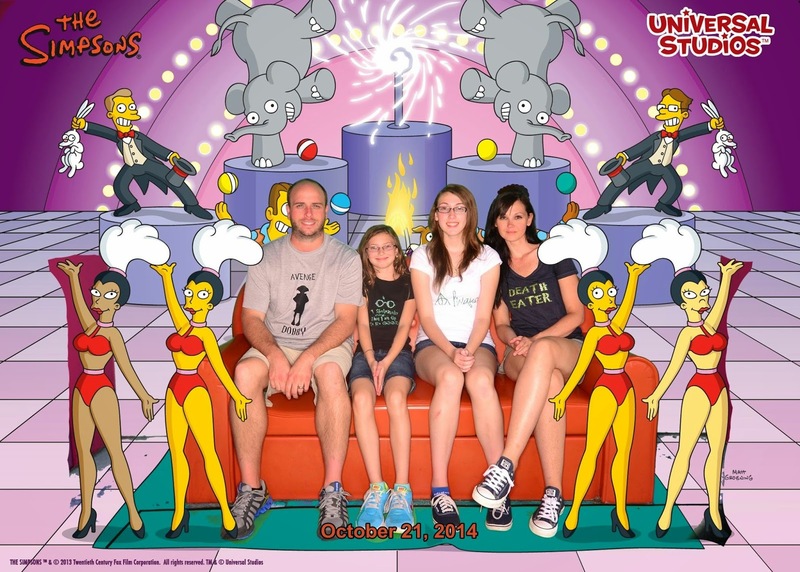 My girls have never seen The Simpsons before, but after going to Universal, they are now fans. They watch it whenever it comes on now. So weird to have them enjoy a show that I loved as a kid! You've got a leg up on me. I haven't been to Disneyland yet, but when I go, I do hope they've upgraded their photo system to match Disney World. While I like the convenience of the Magic Bands, I think their old fast-pass system was much better. You could easily get more fast-passes a lot quicker than with the new system they have in place. Look at my eyes Dezzy! The one must have caught red eye from their flash. I tried to fix it with one of those red eye removal tools and it kept turning that half of my face black. Pft! Now I look like a zombie in that picture! Man, does he ever have the worst fake smile! We laughed about how every photo looks like he is chomping his teeth together and straining to smile for the pictures! I'm happy to see you here again Rina :) Gotta love it when work actually wants you to work instead of reading blogs. Stupid work hehehe! You don't look concerned that a DRAGON IS BREATHING FIRE ON YOU!! I think they're cute Theresa, esp. the ET pics and the Hulk. Thanks Rosey! We couldn't go to Hogwarts without the tattoos! Though the employees weren't too thrilled with my Death Eater shirt and Dark Mark tattoo. I guess they only like the good guys there lol. I LOVE the E.T. pictures! They are so cute! 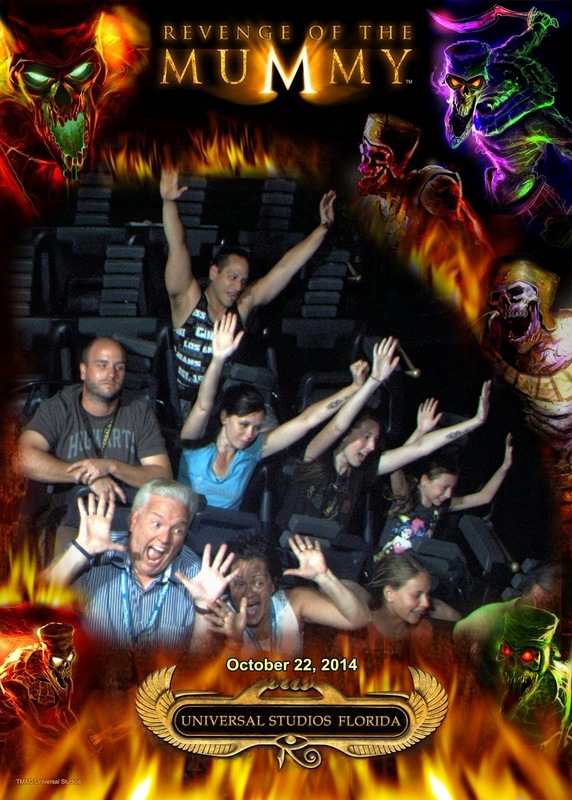 I don't what's funnier on the mummy ride. Your husband's "meh" face or the guy at the bottom left's scared face. I haven't tried it. We haven't been there in a couple of years, I don't think they had it back then. That stinks that is was so expensive and not worth it. But hey, I think the photos you did get are really cool at least! I love the ET pics. That is pretty pricy. It doesn't surprise me though. Places like that try and sell you on photos all the time. I love your Simpsons pics! So cute and I must venture down to the Universal Studios close to me (LA) and must check that out. They may have a similar set up and probably expensive too. 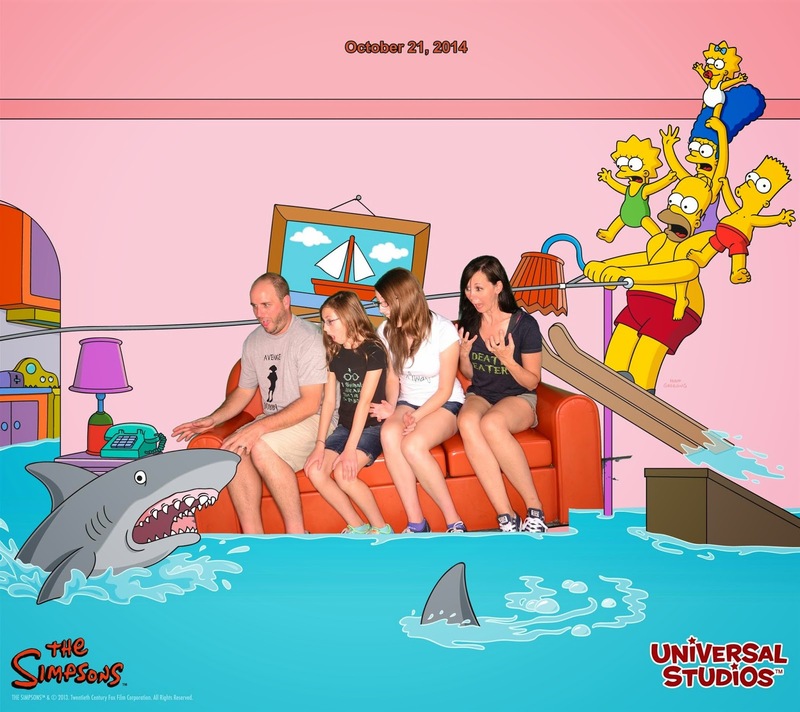 It's bad that Universal Studios, of all places, does not do photo-packages right. Nonetheless, I love these photos and you appear terrorized by the cartoon shark. Also, your family has a blast. Would you consider adopting me? The Disney photos you showed previously definitely had more "magic" to them! But I really like the Simpsons shots you took here too hehe. 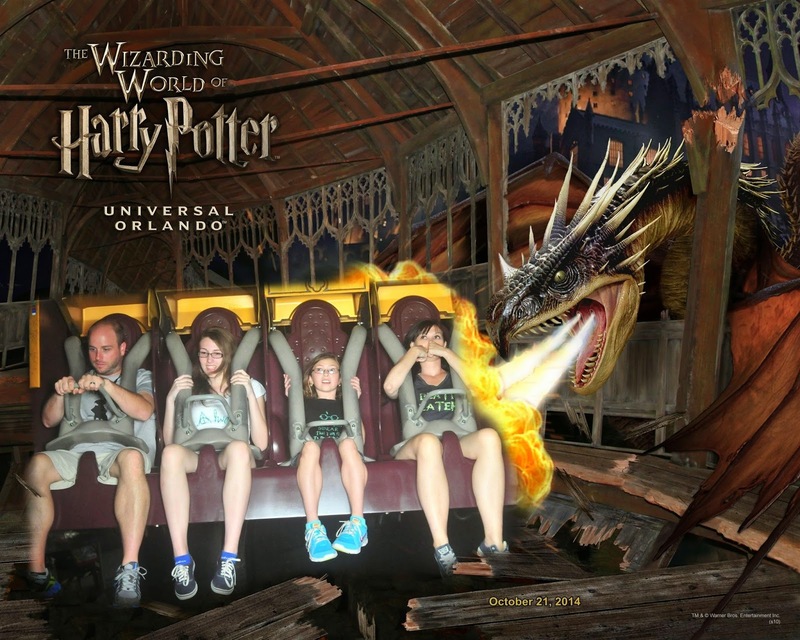 My fiancee would love the Harry Potter ride!! Hahahhaha.. the one with Jason not looking so thrilled is priceless. That would be my Hubs. You'd think they'd want to make it a pleasurable experience all around. The pictures you did get turned out great, especially the Simpsons ones! Hey, I was wondering if you could give me some info I CANNOT seem to find anywhere?! 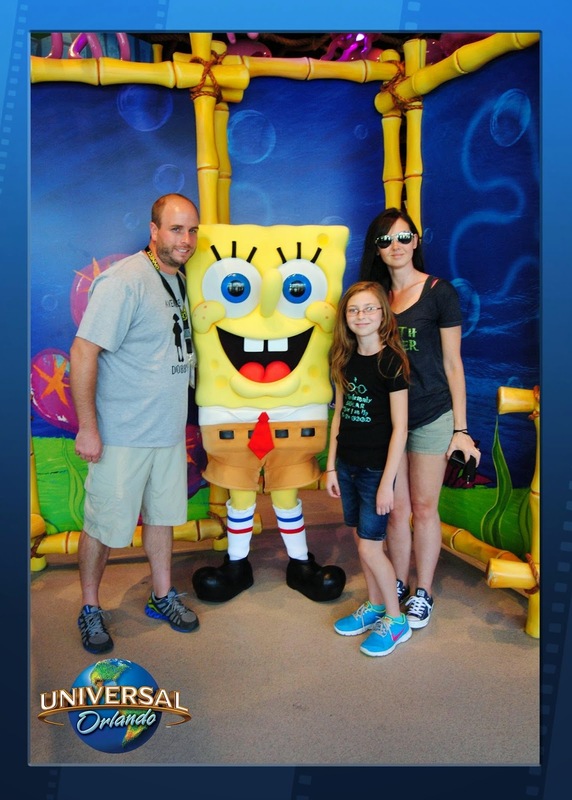 With Disney's PhotoPass system, you get 45 days to download your pics from the online server. How long do you have to access and download your pictures from the Universal Photo Connect webpage? Honestly, I have no idea how long they give you. For some reason, I am thinking it runs the same as the Disney PhotoPass in terms of how long you have to download, but neither my husband or I are 100% certain on that. We just hurried up and downloaded our photos as soon as we got home to ensure we had them before they were deleted. You could email StarConnect through their website and get a definite answer though.